Cookies are always a good idea, right? Sadly, not when you’re shipping them. 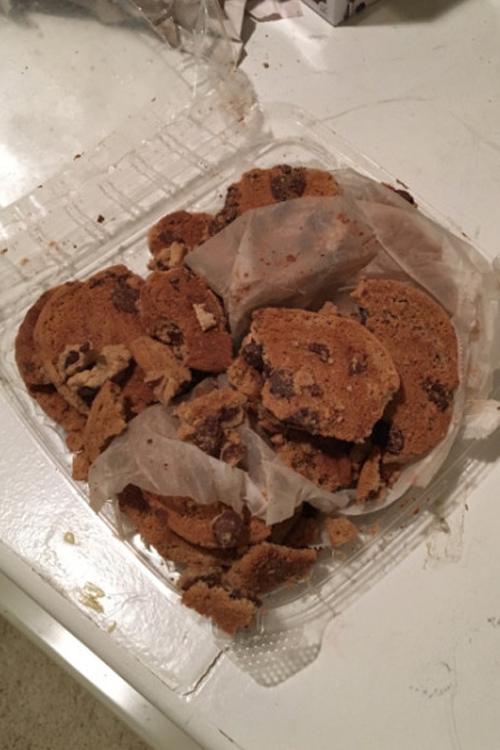 In fact, this woman tried to send her friends cookies, but it got hilariously messed up. In December, a Tumblr user named anneriawings, whose real name is Katie, had a great idea. She wanted to send her friends cookies, but it didn’t go as planned. Katie was located in Texas, and she sent the treats to three friends New Jersey. Not too far, right? Wrong! The package got sent to the wrong place…but the tale of getting it back is too funny not to share. Originally, the cookies were supposed to be delivered on December 23rd, 2016. According to the United States Postal Service, they would only take two days to arrive. But according to the Tumblr tale, when the three friends met on December 26th, the cookies were still missing in action. Everyone was very confused, so they looked into what had happened. Where were the treats? Katie posted on her blog that USPS had marked the baked goods as delayed. She then posted a photo of the tracking details, which revealed the package was last in Barrigada, Guam. Seriously, the cookies went from Texas to Guam. One of the girl’s friends, Tumblr user homebeccer, whose real name is Becca, told Buzzfeed about the debacle. "I, foolishly, was not fully aware of just how far Guam was from us, probably equating it to Puerto Rico as both are US territories," Becca said. "But no, Guam is actually just north of Australia. It is, to say the least, very far from New Jersey." Becca explained that Katie kept an eye on the USPS tracker. By December 28th, the package was in Hawaii. A few days late, it finally made its way to the desired location. Throughout the process, everything was documented and shared on Tumblr. This way, Katie’s followers could laugh along with her at how absurd it was. 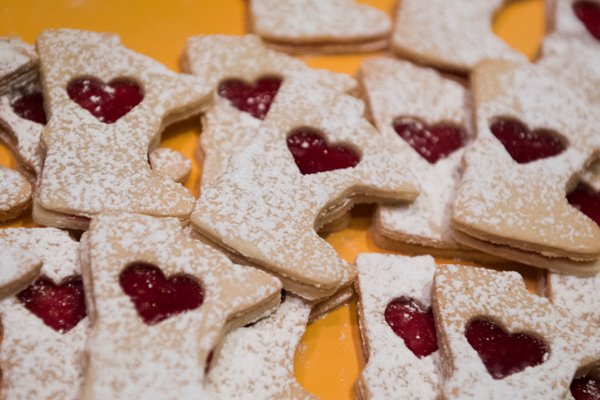 On December 30th, the infamous cookies arrived in New Jersey…finally. When the girls opened the long-awaited for box of cookies, they got a surprise — lots of broken chocolate chip cookies. Okay, we could’ve guessed they were broken, but the final photo is just too funny. How on earth did this get so messed up? It’s beyond laughable. Our favorite part is that Becca drew a map of the cookies’ journey. It makes us laugh just looking at it. Those little chocolate chip delights are serious world travelers. "I was telling a friend back home in Florida about the cookie debacle and her little brother yelled, 'Wait, that was you? I saw that post on Tumblr,'" Becca told Buzzfeed. "But it's been hilarious, at the same time, that 'Guam cookies' is now forever going to be a thing in our lives."